I swear, I truly believe this year’s Senate race will set a new world record for face-palms and the use of the #smh hashtag. The Republican establishment is running like mad from the golden opportunity the Democrats are handing them. The Democrats OWN the ObamaCare disaster and this disastrous economy. Yet, the GOP establishment — instead of taking advantage of the opening – is going along with preserving ObamaCare, growing government, increasing the debt, and weakening immigration laws. Neither of the two major national parties has a great record to run on. But the Democrats appear to be betting everything on the tried-and-true idea of ginning up turnout among their most reliable voters by race-baiting. Personally, I have little use for the NBA. I will concede that the Clippers owner is a complete dirtbag. But I am dismayed at how the lefties are practicing the same tactics in this case they condemned in their attacks on Senator Joseph McCarthy and the UNC speaker ban. The guy said some inartful and inappropriate things in a private phone conversation with his mistress. The lefties went b@t$*&t crazy and the establishment scrambled to appease them. The owner was banned from the league, and efforts are underway to take his team away from him. […] “We urge the N.F.L. 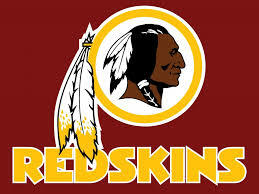 to formally support a name change for the Washington football team,” the letter read. Sen. Maria Cantwell (D-Wash.) circulated the letter, which was signed by half of the members of the Senate, including Majority Leader Harry Reid (D-Nev.). The letter was only circulated among Democrats. The letter to Goodell marked the most significant congressional endorsement of a name change to date. “The N.F.L. can no longer ignore this and perpetuate the use of this name as anything but what it is: a racial slur,” the letter read. The senators urged Goodell to follow the lead of NBA Commissioner Adam Silver, who recently banned Los Angeles Clippers owner Donald Sterling from the league over his statements on race. Hmm. Going after the Redskins’ owner for something some NBA owner said on a private phone conversation is a lot like attacking Kay Hagan — affectionately known throughout The Tar Heel State as Chuck Schumer’s Sock Puppet™ — for the sordid record of fellow Democrat Al Sharpton, who we see has stepped in it again. We got a look at this asinine letter sent to the NFL by the senators. 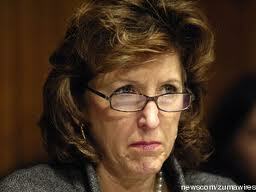 Of course, Kay Hagan’s signature was on the letter. Let’s analyze the, um, “wisdom” of this strategy. The ongoing controversy over the name of the NFL’s Washington Redskins doesn’t provoke much anger in Robeson County, despite its population that is about 40 percent Lumbee Indian. Instead of outrage, many interviewed for this story expressed their support for the team, calling themselves fans. For decades, it has been argued by certain American Indian groups, civil rights organizations and even lawmakers that the name Redskins should be changed. Some Indian groups say the term is racist, a derogatory epithet that perpetuates stereotypes that demean American Indians. Robeson County Commissioner Raymond Cummings, an avid Redskins fan, said that he isn’t offended by the team’s name. “The term Redskin doesn’t bother me as long as it’s used in good taste,” he said. County Manager Ricky Harris, like Cummings an American Indian, feels the same way. It is depressing to consider what an awful choice we face in our Senate race – Schumer’s sock puppet or Rove’s sock puppet, or sitting that race out entirely. How can the Republicans credibly fight these issues anymore, their Senate candidate “Obama Republican Thom Tillis” calls Obamacare – “A great idea” and is all in a lather for passing amnesty friendly legislation. Face it. The Republican party is no longer an opposition party hasn’t been one for a long time. It’s as much of the problem as the Democrat party. Here come… The Washington Native Americans! Yet ANOTHER reason to forget the NFL. With their racist history, Mark Levin said it would be much more offensive to call the team the “Washington Democrats,” Please listen to his podcast of 5/22/2014. Another distraction to hide all the damage the demonrats are doing to our once great country. And Reid had time to bring this up on the Senate floor, but no time to bring up the House bill that would let them fire VA staff that let service members die so their records looked good.